An international trip-planning and flight management company, specializing in providing regulatory authorizations and ground support services to aircraft operators around the world. 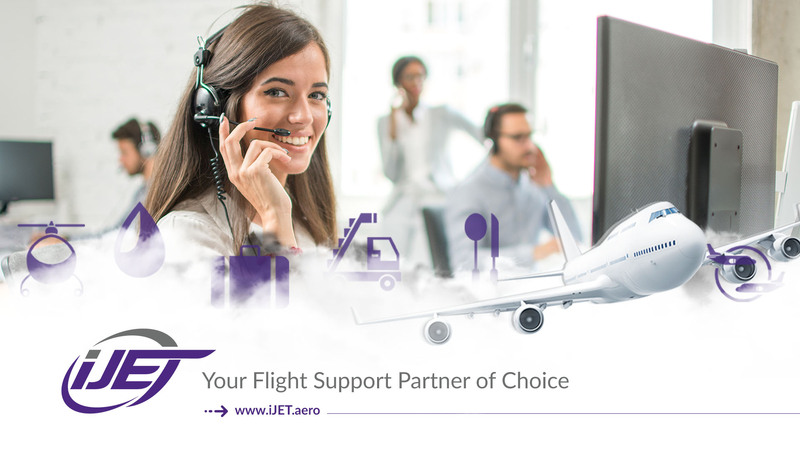 iJET provides a diverse range of flight support services including: - Flight Permits (overflight/landing/diplomatic/special permits) - Ground Support and Handling - Fueling - Inflight Catering - VIP Concierge - Navigation fees - Trip Planning - Chauffeured transportation - Meet and Assist services Founded in 2014, our team has years of experience in the aviation industry. With headquarters in Dubai and global offices in Malta, Spain, India, Turkmenistan and Madagascar, we offer you the network you need to access a global, specialized experience from a single reliable source.